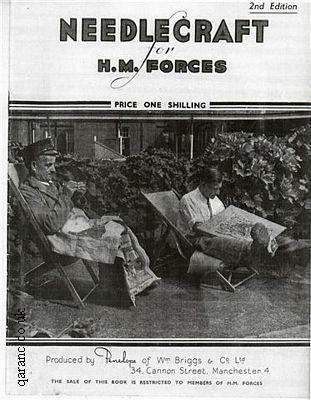 This Needlecraft for HM Forces booklet was sold to soldiers in military and civilian hospitals during the Second World War for one shilling. 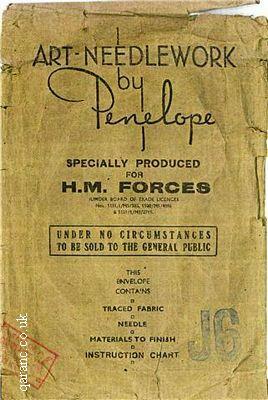 The embroidery patterns were produced by Wm Briggs and Co for HM Forces as a form of occupational therapy. These Briggs embroidery pattern packets sales of the book were restricted to members of His Majesty's Forces and were not sold to members of the public. Each envelope contained traced fabric, needle, material to finish and an instruction chart. 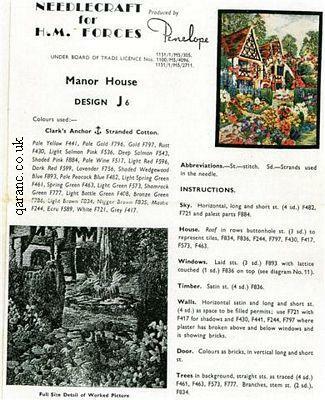 The image below are the instructions and pictures of a Manor House and was design J6. 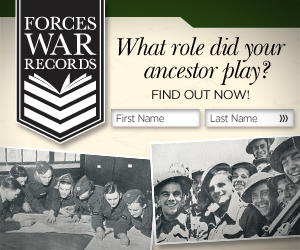 There were many designs and patterns available and the Imperial War Museum has more of these. Paisley Thread Mill Museum hold over 100 of the transfers and pattern/leaflet packs for a variety of forces badges during the WW2. These were recently donated to them by Coats Craft UK when their design studios closed. 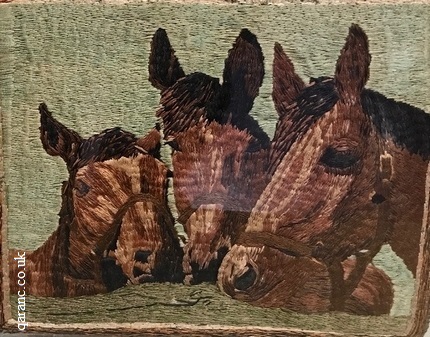 This piece of horse embroidery is from World War Two and was made by Charles Stannard whilst he was in hospital, recovering from malaria. He used a piece of an army shirt as backing. It is on display at the National Army Museum in Chelsea, London.